What it is: Six large highlighters that give a lit-from-within to full strobe glow to the face and body. What it does: The soft-focus, mega-watt highlighting powders help blur imperfections, minimize pores and help restore the look of luminosity to the skin. Whether you want to add a healthy ethereal sheen to the skin or a “blind-the-world in seconds” beam, these versatile highlighters add dimension to any skin tone. Use a blush or fan brush to apply to high points of the face such as the center of your forehead, top of cheeks, brow bone, cupid's bow, or on the bridge of your nose. For an intense glow, swirl your Blurring Concealer Brush into the top row of the palette. In a c-motion, apply to the high points of your cheeks, temples and brow bones. The best highlighter palette around!!! MY FAVORITE PALETTE FOR HIGHLIGHTER!! So great I use it every day my friend gave me her old one and I used it all up so I had to get another!! Absolutely love this set! Being new to PÜR, my daughter and I were both excited how beautiful the colors are!!! I love the colors and couldn’t be happier! Can’t wait to try more products!!! I loved how easy these were to apply, and looked amazing on my skin tone! I liked how they were buildable, and i could take my glow to the level I'd like! Perfect mix of colors for all skin tones. This highlighter is so smooth and it lasts forever! I always receive compliments when I'm wearing it. I especially like 'Sultry' and 'Frostbitten' for daily wear. You'll love all the shades to glow! I loved that pit came out with a glow kit, so many gorgeous shades to choose from. They are creamy and super pigmented, definitely would recommend! The formula is beautiful and the shades are s o versatile! I highly recommend this product to any makeup lover!! Great shimmer and pigment, lasts all day. You can't go wrong with this set. when my boyfriend bought me this palette I was skeptical at first as I am not a big highlighter fan but this palette really made me fall in love with highlighter and I'm so great full he got it for me !! Some of the colors did show up better than the others. But I love having the variety of colors to wear. Great formula. A great palette to have in a makeup artist kit since they're so many shades so anyone can use it. I have fair skin, so finding even single highlighters, let alone an entire palette that actually highlight my skin is a challenge. With that said, I've been able to use every shade in this palette, with the exception of Gold Rush, which is the darkest shade. The shades are also very pigmented, smooth and easy to blend. I definitely recommend trying it out! This product is so pretty! I use it as eyeshadow, highlighting my cheeks and I also use it on my collarbone and decolletage in the evening to add a little glam. The colors are all beautiful, though I tend to stay away from the lightest color. Just my personal preference. I absolutely love this pallete! It's perfect has face an eye colors. What more do u need? I use this just about everyday! Ok I have tried a lot of highlighter products but they always have too much sparkle! This palette was perfect! Perfect shades, perfect shimmer, perfect all around! I love all the colors in the highlight pallette ? Super creamy powders that have an amazing shine. Love them!!! I love this palette! It gives and amazing lit from within glow! The formula is great and silky. I love to use the pink on top of my blush! Just so cute! This highlight palette is so beautiful. 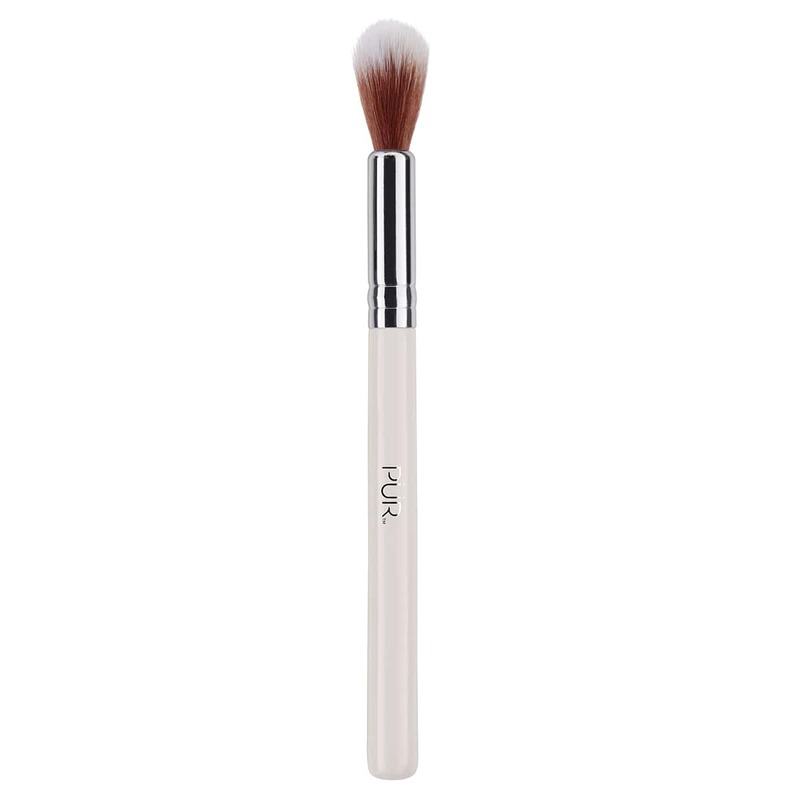 It is very pigmented and super easy to use. I would buy this again. Better than highlighters double this price! This highlighter palette is the best one that I've tried and that says a lot. The colors are silky and give off a wet appearance, while not being overly filled with glitter. I have highlighters that are this price for one and this palette is better quality. The colors on this pallette are beautiful!!! So much so, I bought an extra for my best friend. This is seriously gorgeous! Each color is beautiful on its own, absolutely dreamy combing two or even three. Didn’t settle in pores or lines. Love how it gives you the perfect glow without it being too overwhelming. colors are amazing and it works with any makkeup or outfit. Most beautiful natural glowing sheen highlighter out there! So I have soo many highlighters that it's ridiculous.. From anastasia beverly hills to Pat McGraths to colourpop and honestly this palette is right up there as one of my ultimate favorites! It gives you that sheen glow.. Not the heavy powder look that enhances all your pores and glows some... No way not this palette.! I can not say enough good things about this highlighter! The highlighters in this palette are beautiful. Have really enjoyed the product. Love the the texture and colors on the palette. They stay on very well. because you sent it to my billing address instead of my shipping address and I haven't received it yet. It took 5 days for a CS rep to respond to my ticket with a tepid apology and a query for how much it will cost me to have the products shipped to me. Of course, I responded that I can't know that until they do. I have not heard back from CS yet. I'd like to add that your website is not user friendly.Tracking information is difficult to find as well. I like your products but will probably just purchase in Ulta as the online experience has not been the best. I really love this highlighter; the box it’s in is nice too I didn’t want to open it, but I love using it it’s very amazing. Words cannot explain how obsessed I am with this product. The best highlighter I have ever used. The shades are so flattering, and pigmented. I am obsessed. I hope pur cosmetics never discontinued this amazing product. This incredible highlighter pallette deserves wayyy more hype.